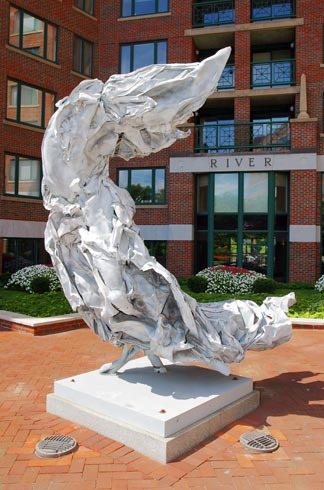 When River Court was being designed, there was an open competition, advertising in magazines, and enlisting the help of art consultants and Carl Belz, then director of Rose Art Museum at Brandeis University. After viewing approximately 1,500 slides, the company commissioned a 'goddess' for the front courtyard and an abstract for the back courtyard overlooking the fountain by New York City sculpture, Judith Brown. 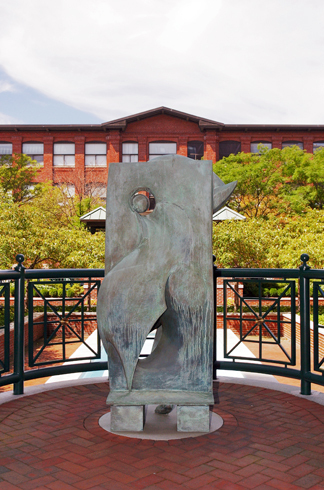 Brown created a 12 foot 'goddess' named 'Athena' which can be seen above in the center of the beautifully landscaped courtyard and Ernest Montenegro created 'Thalassa' for the back courtyard. 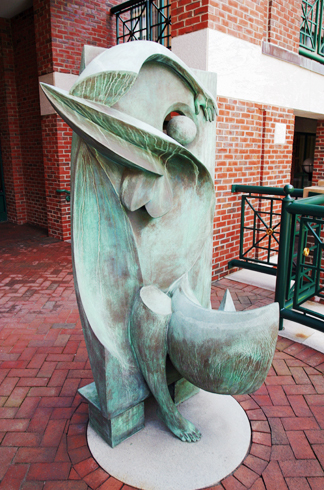 Both statues contribute to the elegance and beauty of River Court and are enjoyed by all.